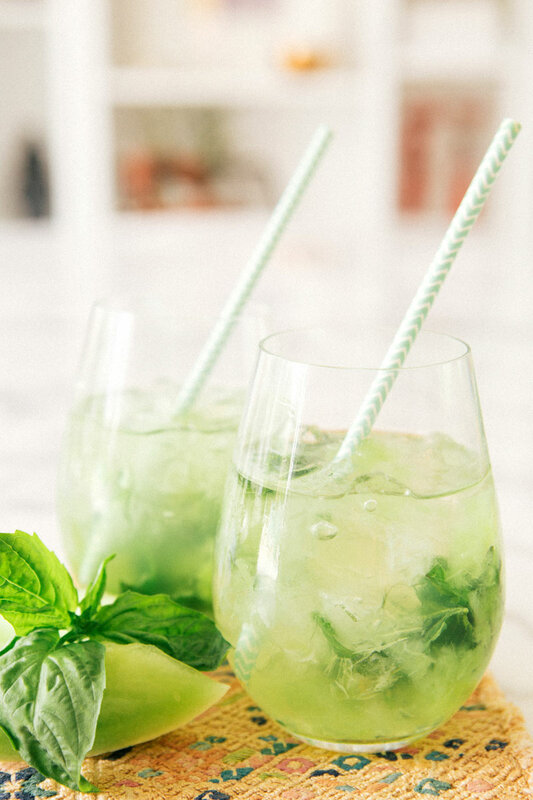 Muddle a handful of melon, 3-4 basil leaves and 1 ounce simple syrup in shaker. Fill wine glass 3/4 full with ice for large glasses and half full for small wine glasses. 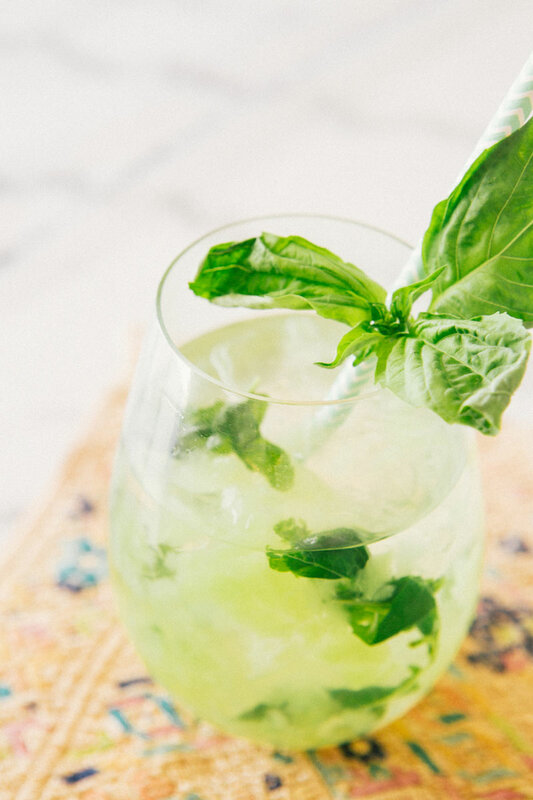 Pour muddled fruit and basil over ice. Add 4 oz of wine. Top with a heavy splash of soda water. Inventive twist on my standard wine spritzer. I know what I’ll be drinking by the pool this weekend! sauvignon blanc is the best in the summertime and this looks delicious! Wow, this is exceedingly beautiful. How refreshing and what wonderful flavor combinations! Basil and honey dew together are amazing. You’re so clever! Yum! This looks so refreshing. I’m tempted to mix it up with other melon options and create a “spritzer bar”. Yum yum yum! I have 2 basil plants at home and I was wondering what to do with them (I mean, apart from toooons of pesto!) and this looks like the perfect cocktail to me! What gorgeous colours! 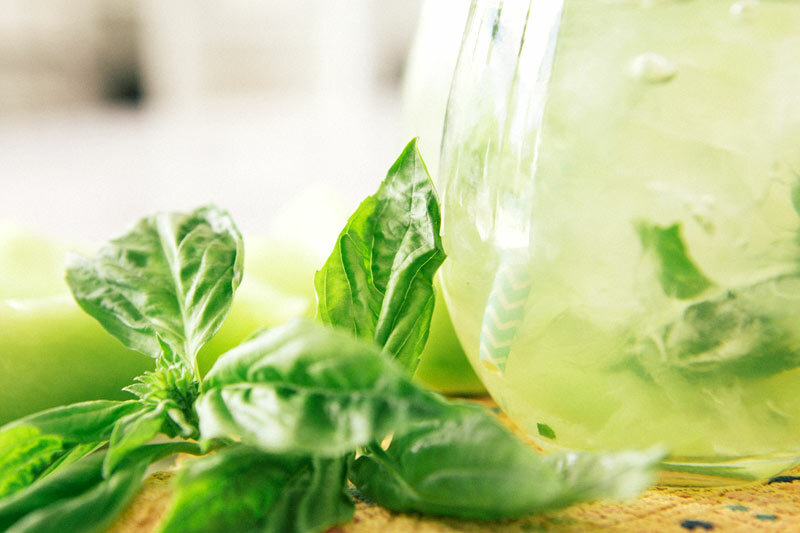 Basil is so amazing with so many fruits, so I bet this tastes great! I can’t get enough of melons right now and this looks delicious! Looks so good! May I ask where your stemless wine glasses are from? They seem like a perfect size. Thanks! I am feeling refreshed just reading this recipe! Yum! 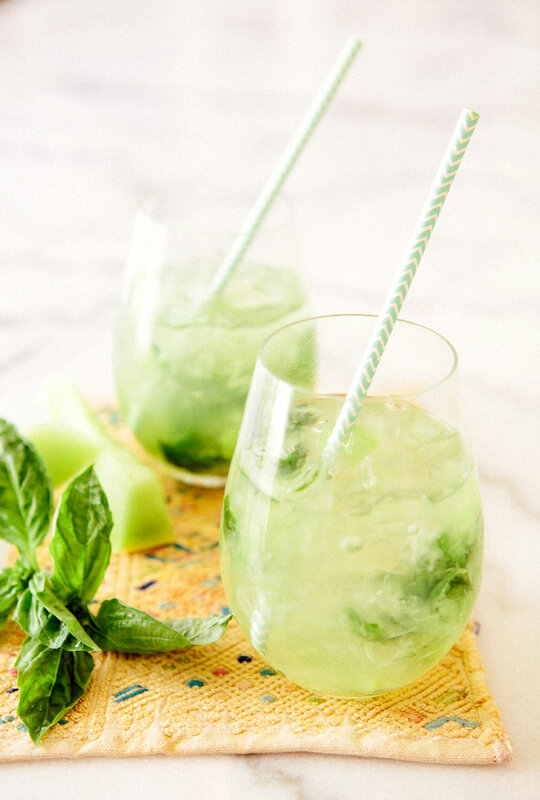 This looks most refreshing can’t wait to try this with some friends over for Sunday brunch. Happy Nesting.